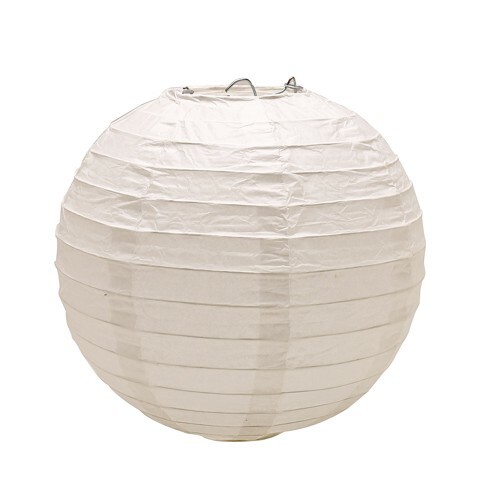 Paper Lantern White 4Pk. 20cm Diameter . White. Tissue 20gsm l Wire l Plastic Hook. 115g Packaging: OPP Bag with Fold Over Insert Card.